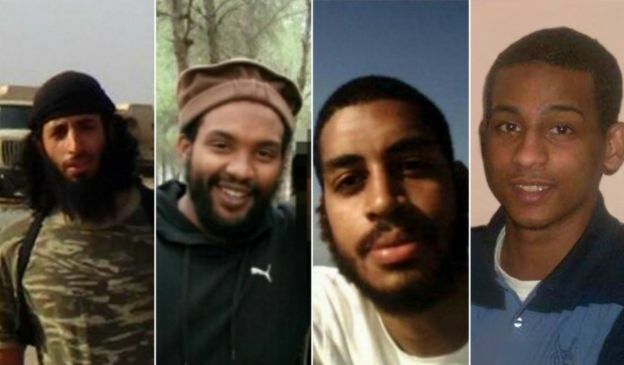 “Two Britons accused of being Islamic State members have complained they will not get a fair trial because the UK government has stripped them of their citizenship. 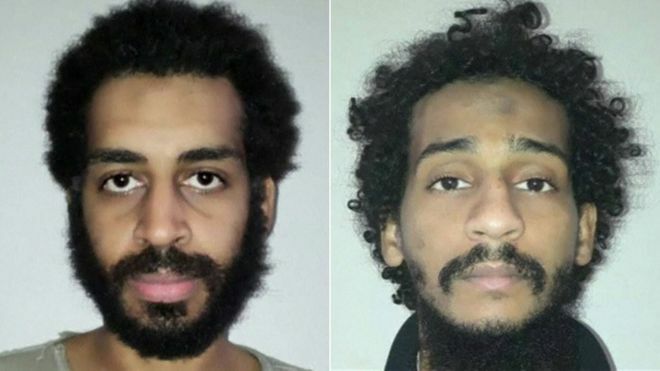 Alexanda Kotey and El Shafee Elsheikh, from west London, were captured in Syria in January. They are accused of being the last two members of an IS foursome dubbed ‘the Beatles‘ because of their UK accents. 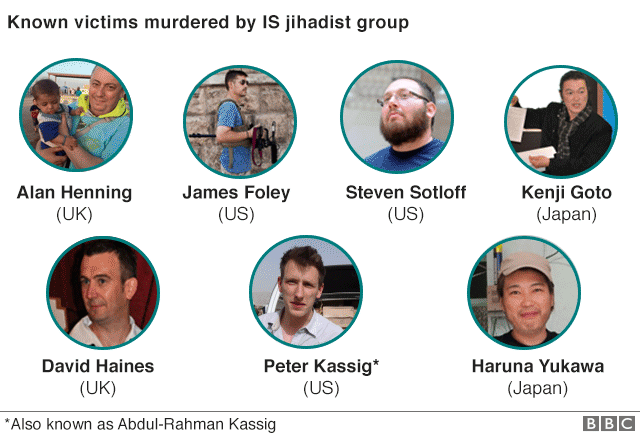 The pair also said the murder of IS hostages was “regrettable”. In an interview with Associated Press from northern Syria, Elsheikh said the “illegal” withdrawal of their UK citizenship put them at risk of “rendition and torture”. “Being taken to any foreign land and treated in any way and having nobody to vouch for you,” he said. He said he could have “no fair trial when I am ‘the Beatle’ in the media”. But Diane Foley – whose son James, an American journalist, was beheaded by the cell in Syria in 2014 – said she wasn’t interested in their opinions and doubted the sincerity of what they had said. “I am interested in them being held accountable for their horrific crimes and right now, they look like they’re on vacation,” she told Radio 4’s Today programme. Sarah El Deeb, the journalist who interview the pair, described the men as “very smart” and “very religious”. “I don’t think they were very apologetic about being members of Islamic state,” she told the BBC. US officials believe ‘the Beatles’ IS cell beheaded more than 27 Western hostages and tortured many more. Kotey told the Associated Press that he “didn’t see any benefit” to the killings. “It was something that was regrettable,” he said. He also said many people in IS would have opposed the murders “on the grounds that there is probably more benefit in them being political prisoners”. The other two cell members – also from west London – were Mohammed Emwazi, nicknamed “Jihadi John”, and Aine Davis. Emwazi, who was the alleged ringleader and appeared in videos showing hostages being beheaded, was killed by a drone strike in 2015. Davis was convicted of being a senior IS member and was jailed in Turkey last year. Among the captives thought to have been killed by the cell were British aid workers David Haines and Alan Henning, who were beheaded. Last month, Home Secretary Amber Rudd said the two remaining suspects in the ‘Beatles’ gang should go on trial. She said the US and UK are in talks about what to do with the two men. In a statement on Saturday the Foreign Office said: “We do not comment on individual cases, but we are working closely with partners to ensure that justice is served. Both Kotey and Elsheikh are designated terrorists by the US, which says they have used “exceptionally cruel” torture methods. UK defence minister Tobias Ellwood said he believed the men should be tried in an international criminal court. The families of some of the victims also said the pair “should face trial”.